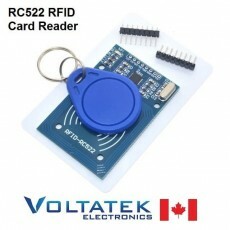 Mifare RC522 RFID Card Reader Module. Use with Arduino, Raspberry Pi, Beaglebone and other microcontrollers. SOLDERING is required to connect the header pins to the PCB.